Established over ten years ago, Constructionarium provides a “hands-on” construction experience for students and professionals; where participants construct scaled down versions of bridges, buildings, dams and civil engineering projects from all around the world. The principle is to link academic institutes with industry and to ensure that the students are able to apply the knowledge they have gained in a practical, safe and relevant environment. 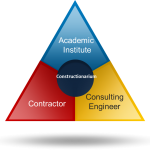 The basic model consists of a triangle formed by an academic institution, a contractor and a consultant; working in partnership to deliver a new learning experience which combines the academic perspective with those of the design professional and practical site delivery. Delegates are assessed throughout the week in respect of budgetary control, methodology and project management. 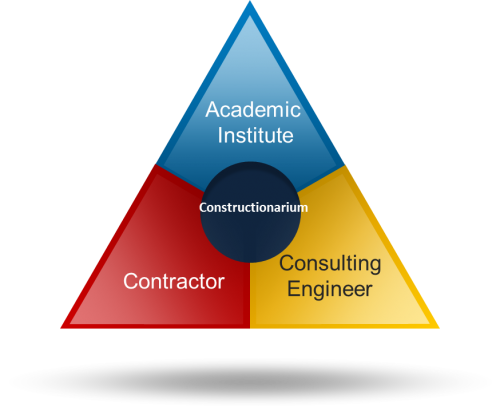 Constructionarium is typically delivered as a 6-day working field course at our secure sites.